The X Vario’s zoom optic has raised a few eyebrows, although not for the reasons Leica perhaps wanted. The most frequently made comment about the camera’s lens design relates to its speed – or lack of it. A maximum aperture of f/3.5 at the wide end of the zoom is not going to set the world on fire, and f/6.4 at the 70mm end could be seen as pedestrian. However, it’s worth stepping back for a moment and considering the challenge Leica faced when developing the X Vario. The ideal zoom lens must be (1) small, (2) fast and (3) give great quality right across the image circle. In reality, though, only two out of these three ideals is achievable at any one time. Sure, you can get standard zooms that maintain f/2.8 throughout their range, but they are always large and heavy. Equally, we see f/3.5-5.6 kit zooms with entry-level DSLRs that are light and compact, but often leave something to be desired in terms of image quality. 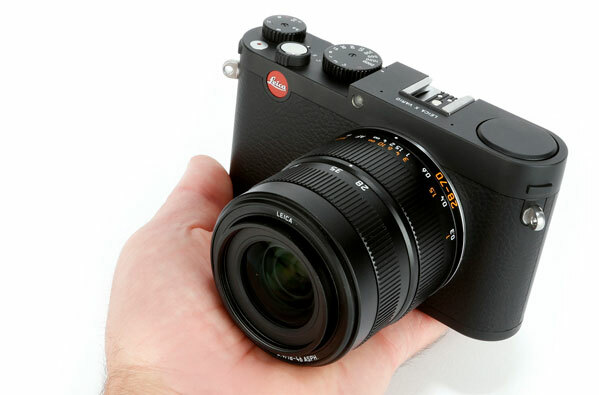 Given Leica’s wish to satisfy its customers’ desires for a more versatile X-series camera that still turns in great image quality, the company had no real alternative than to compromise on aperture size. Perhaps f/6.4 is 1⁄2 stop too far, and f/5.6 would have resulted in less tutting and rolling of the eyes, but this is a camera that performs as well wide open as it does in the middle of its aperture range – and there aren’t many DSLR zooms you can say that about. The X Vario is a pretty good high ISO performer, too, don’t forget. So, is the slow speed of the X Vario’s zoom nothing to worry about? Well, it certainly might limit you if you like shooting handheld in low-light conditions, but if you are more conventionally inclined then don’t be put off buying the camera because of its maximum aperture. It’s an otherwise versatile high-quality camera.